Summer is finally here, England have won their first game and Wimbledon is about to start. When the England team kicks off against Panama this Sunday lunchtime, there’s every chance that people up and down the country will be firing up the barbeque in the predicted high temperatures and hosting their own parties. If you’ve been looking forward to having your house and garden bustling with friends and family, enjoying a barbeque and letting the kids play safely outdoors, then three products from Jeyes outdoor cleaning range are all you need to transform your garden into the ultimate entertaining space. First-up, it’s time to tackle that barbeque that may be lurking, a little unloved in the corner since it was last used. Party hosts can tackle this head on with the new Jeyes Smart Brush Barbecue Cleaner, rapidly killing 99.9% of barbecue germs including e.coli, listeria and salmonella. Its fast action, powerfully concentrated gel formula will remove stubborn burnt on food and grease in just ten minutes, using the built-in brush for a fast transformation. 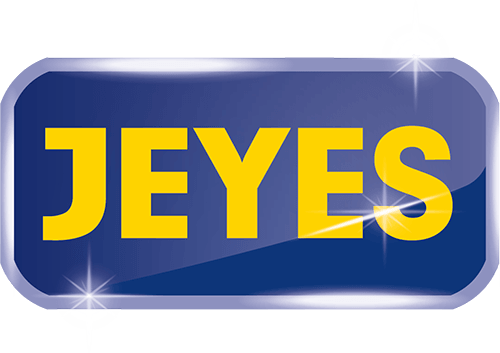 Next, turn your attention to disinfecting patio furniture, kids outdoor toys and play equipment with Jeyes heavy duty outdoor cleaning wipes. These non-bleaching large-size wipes will have all your outdoor items cleansed and ready for visitors in no time. Finally, to instil a real sense of pride and peace of mind in getting every corner of the garden 99.9% free from germs, Jeyes Fluid ready to use outdoor cleaner and disinfectant can be used to clean everything from patios, paths and driveways to greenhouses, flower pots, pet housing and garden tools. Jenny Questier, from Jeyes, commented: “We’ve had a brilliant run of good weather recently, but many of us have been waiting to see if the sunshine is here to stay before we tackle the garden grime and become truly ‘garden party’ ready.